Offering a selection of trails in northern Washington, colour photographs and maps, kid-friendly options, and rainy-day recommendations, 105 Hikes is not an update of the previous guide; it’s a completely new book. The first edition introduces features such as an at-a-glance summary of all the hikes, a rating system for quality and difficulty, and shorter or longer options for many outings. Last month, I unveiled 105 Hikes’ table of contents. 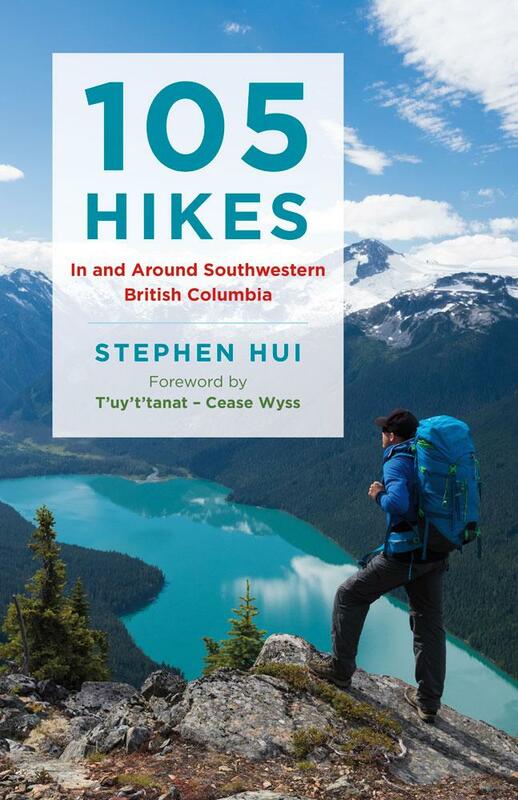 To follow up, here’s a sampling of nine spectacular hikes featured in the guide, which is being published by Vancouver’s Greystone Books. On June 2, Mountain Equipment Co-operative (MEC) will host me for a book signing event at its flagship Vancouver store in the territories of the Musqueam (xʷməθkʷəy̓əm), Squamish (Sḵwx̱wú7mesh), and Tsleil-Waututh (səl̓il̓wətaʔɬ) First Nations. I’d love to see you there.